Many of iPhone 8 plus users after upgrading to iOS 11.4 are facing issue, iphone 8 plus freezing/unresponsive issues with iOS 11.4. 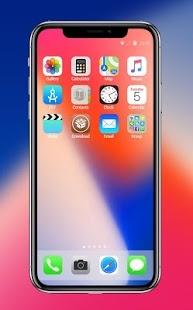 The iPhone becomes very slow and laggy after the iOS 11.4 upgrade and eventually becomes non-responsive. Home and power button, touchscreen almost everything becomes useless. The same issue is reported with iPhone X with iOS 11.4 and iPhone X also starts to hang. 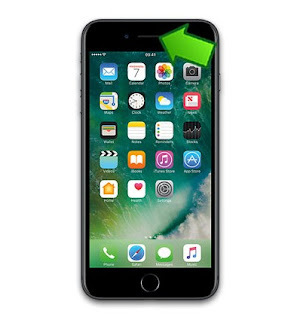 A force restart may fix the issue for a while but after some time the issue will occur again and iPhone will start to hang. The issue happens to appear after using some app or feature/game or some app starting to use GPS, usingwaze app. But for many users the waze app is causing the freezing issue. 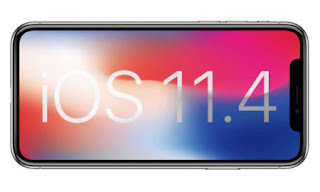 To fix the issue you can try to restart/re-install the iOS 11.4. If the issue still persists, reinstall the app which is probably causing this issue, if nothing helps you should uninstall these apps until Apple or app developer comes up with a permanent fix. Many iPhone X users are reporting battery not charging above a certain level and get stuck at some particular % level eg80%. Even it’s showing the phone is charging when it’s is plugged in to charger but not charging stuck at 80 for the past 3 to 4 hours. This seems like iPhone stopped charging at 80 and the charging will not happen after that. This is really annoying as you can't rely upon the battery percentage anymore. The similar issue is even reported with iPhone 8 with iOS 11 installed. The iPhone % stuck varies from users to users for some it is 75% while for other can be 83% or 80. Fix 1: Battery complete discharge It is quite possible that iPhone X digital gauge is malfunctioning and not reporting the expected battery life and might seem to freez. In this case you should recalibrate your battery by letting is discharge completely until the iPhone switches off. Now if you recharge your iPhone this should charge normally to 100%. 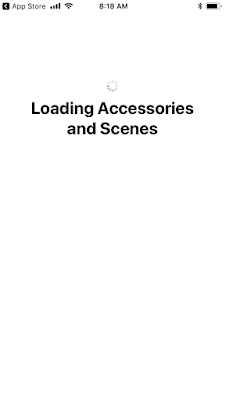 After upgrading iPhone to latest iOS 11.3 and iOS 11.4, many iPhone users are facing issue with HomeKit Apps that the apps won’t start anymore and keep on saying “Loading Accessories and Scenes”.Moment you will launch the app it just gets stuck on this white screen that says Loading Home. The Homekit app seems to be stuck on this. Restarting the iPhone, iPad and AppleTV does not seems to fix the issue. Many iPhone users are facing the issue that iPhone 6 keeps loosing connection, "no service". 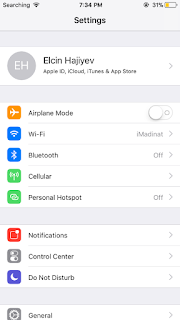 There are issue in network signal of iPhone 6 as no carrier option settings are available. The iPhone struggled to find any signal in the area and if you try to search for network in setting there are no option to select carrier in settings. The carrier option is missing in settings and can't do a manual search. Even on the latest iOS 11 users are facing the no network issue on iPhone 6s. 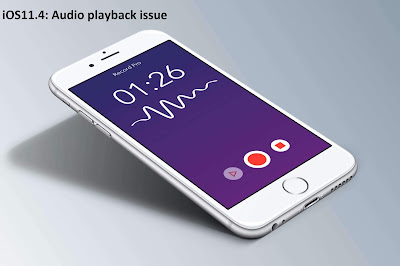 Many iPhone 6s/7 and latest iPhone 8 plus, iPhone X user are facing issue with iPhone call volume of ear speaker that suddenly experiencing, a very low volume during calls.The volume is very low sometimes on the iPhone that its becomes better to turn on the speaker to be able to hear what the caller is saying because even at home silence place there is no enough sound from the earspeaker of the iPhone. This does not seems to be a dust particle in speaker as cleaning the receiver by blowing in it and using a brush does not seems to fix the issue. Specially after upgrade to latest iOS 11 upgrade, iPhone call volume has decreased and it is difficult to hear or take calls. 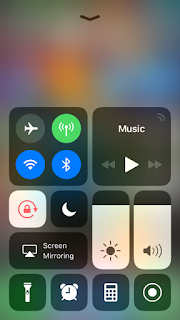 Apple has added music control in the control center since releases of iOS 11 for iPhone and it gives user access to easily control the music play. The music control app in the control center is in fixed place and user doesn’t have option to hide or remove it from the control center. It is also accessible from the lock screen if you have allowed access from lock screen. This may be good feature in many cases to put music control in control center but for many iPhone users this is annoying and unwanted. As accidental touch can cause music running to stop or start unintentionally. Eg If my iphone is in my pocket and I get a notification the screen lights up, music is there and now while in pocket it might get a touch on music widget and can make music go random actions. Many iPhone X users are facing issue with ear speaker that iPhone X users while attempting to make a call, The person on the other end can hear but I can't hear them. Calls on the speaker works fine but its issue with iPhone X earspeaker only. Restarting and resetting the iPhone does not seems to fix the issue. The issue is even reported with brand new 1 day old iPhone X. Not only the iPhone X some iPhone 8 users are facing issue of no audio or very low earpiece volume in iOS 11. This is defiantly an issue with iPhones that Apple should focus upon. Fix 1: Turn off Bluetooth For some user just by turning off Bluetooth while making calls fixed the issue. So please try to keep the iPhone’s Bluetooth off and check for any improvements. After installing the latest iOS 11.4 many iPhone X/8/7 users are complaining that they cannot get the screen brightness auto increased to enough level to read from iPhone screen outside in the sunlight. Not only in sunlight the lights are poor but also in case of shades as well it becomes difficult to read out on iPhone as the auto brightness is nor working after upgrade to iOS 11.4. There was no issue found with previous version of iOS with the same iPhone, but the auto brightness issue started only with iOS 11.4. Surely the issue is with latest iOS released by Apple which has created some trouble with brightness settings. Many iPhone 7/6s users including iPhone X are complaining about the issue where whatsapp is not showing contact number but rather shows only contact number. The whatsapp stopped showing the contact names after installing the latest iOS 11.3 and iOS 11.4. 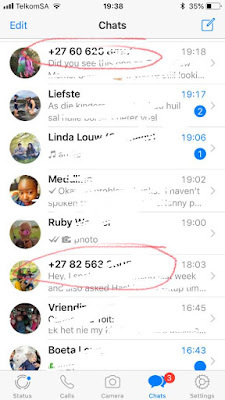 This is very weird that some of the contacts show as numbers although they’re correctly loaded in phone’s phonebook as it seems that whatsapp have lost few contact name from its database. The issue is not reported with all contacts but with only few contacts. For few customers only one contact name is not showing in whatsapp. 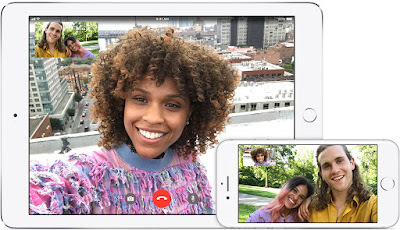 Many iPhone X customers are facing issue with iPhone X getting frozen / stuck while ending a Facetime call on the iPhone X. 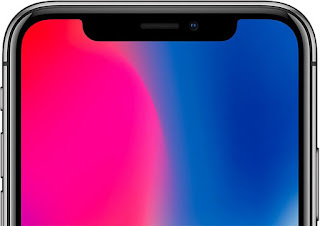 Its been more than six months that Apple has launched iPhone X and the phone is giving great experience to user. The iPhone X is equipped with some new feature like FaceID, OLED screen etc which sets the standard apart from other competitive models. The design of iPhone X is quite different from other older version of iPhone and user has to learn new way to turn off phone, hard reset, screenshot etc. A large number of iPhone users are complaining about issue in audio after upgrade to iOS 11.4. The issue is that the music or the audio stutters, skips and sometimes freezes which is quite annoying in itself. The issue is also with saved songs in the iPhone and thus not a poor internet connection issue. The audio will keep sturring or skipping after installing iOS 11.4. The issue is even reported with latest iPhone X and iPhone 8/7/6 as well. 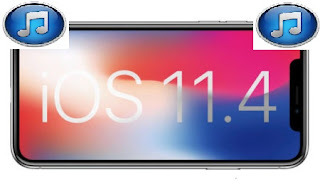 iOS 11.4 and iOS 11.3 is reported with poor battery life by many users who upgraded their iPhone to latest iOS 11.4. After update to iOS 11.4 battery is draining at an alarming rate. Battery life has been reduced by ~50% with iOS 11.4 within 30 minutes. The battery life is very poor in ios11.4 as the battery drain really fast on iPhone SE/ and iPhone 7. Even iPhone X and 8 are also reported with battery drain in the iOS 11.4 release. It is surprising that even with iOS 11.4 update, all of a sudden caused battery to drain at least 3-5x faster than ever before for some users. This is really annoying from apple that for every new iOS release the battery life becomes poor for many iPhone users. With upgrade to latest version of iOS 11 ie iOS 11.3.1 iPhone users are facing quick battery drain issue in iPhone SE/6s/7. Even the latest flagship iPhone X from Apple is reported with quick battery drain in iOS 11.3. The battery drain with new iOS is so servre that even for use of 5 minutes has resulted in 15% drop in battery of iPhone. Battery is draining ridiculously fast even when kept in asleep at night and no use of the cellphone. It always good idea to keep puzzle game in your iPhone as they keep you active,busy and gets your brain working fast. If you have bought the lates iphone X and iPhone 8 looking for top rated puzzle games for the iPhone, this article will list few best rated puzzle games for iphone. If you are looking for best iPhone XR / XS Max games we have shortlisted few for you. This game is easy to catch on to and fun to play. 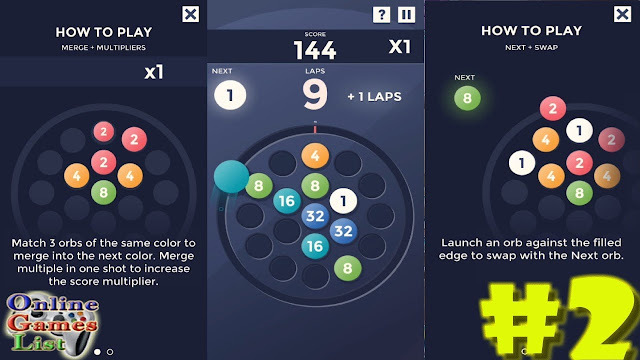 There are different puzzle given to you like unique match and merge gameplay on a circle board, colors and numbers fusion. Rated top puzzle games in iPhone section. This is also good games for kids 9-12 years as beginner to puzzle games on iPhone.